"When the Sabbath came he began to teach in the synagogue, and many who heard him were astonished. They said, &apos;Where did this man get all this? What kind of wisdom has been given him?" The Faith Families of St. Michael School are a collection of small student groups from various grade levels sharing the word of our Lord. 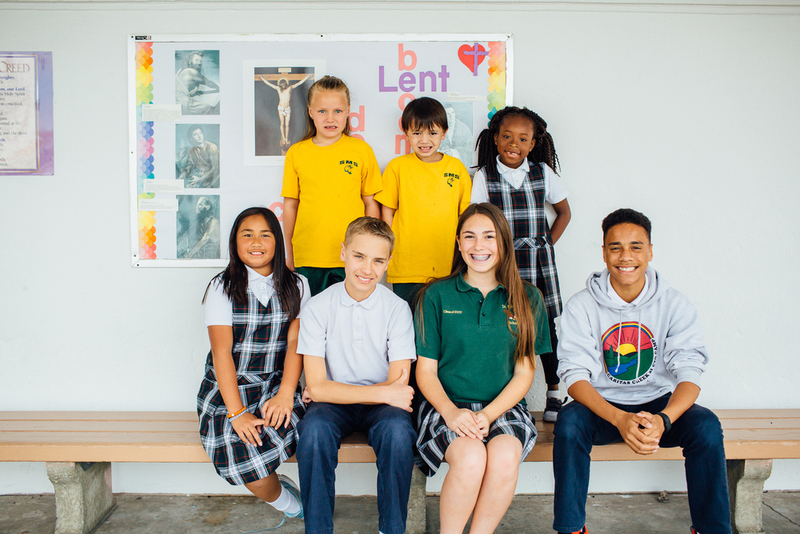 The bond between students strengthens throughout the school year as they openly express their love for Jesus. As the little ones hear from older students their understanding and respect for our faith grows. For the older students they pratice evangelical skills that allow them to implament what they have learned here at St. Michael. Together they develop a better understanding of who they are and what Jesus asks from them. It is a delight to hear students at all grade levels address each other by name and with mutual respect. By the time they graduate they have come to understand what a caring and loving community truly is.